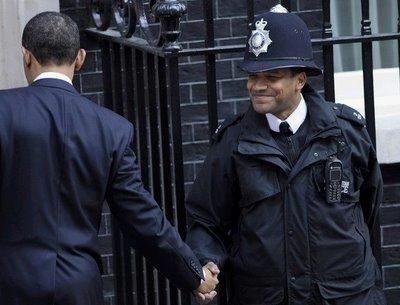 What Is Life Like as a Police Officer in Britain? Becoming a police officer is something that many children dream of when they are young. However, it’s not all car chases and tracking down criminals, and it’s not all about guns and shooting bad guys. There’s a lot of paperwork, emotional stress, and you might even have to give up your social life to become an officer. To give you an idea of what it’s really like, here’s an article dedicated to what life is like as a police officer. Working as a police officer isn’t something you can just stop because you want to hang out with your friends and it’s not the type of job you can call in sick for. You’re expected to come to work and have impeccable attendance because you’re protecting the city, there’s no time for rest unless you are seriously injured. Realistically, you won’t get much time off at all. You could expect maybe a couple of days off in a month, but that’s pushing it. You’re going to have to get used to your colleagues and they will turn into your new best friends, and if you have a partner or a family, then expect to see less and less of them as you climb the ranks of your police force. If you’re going to be on patrol, then get used to your police car. It’s high-tech, there are lots of gadgets and you might spend a lot of time inside of your vehicle, but when something happens and the call comes in, expect to speed down the street with your blinking LED emergency lights and forcing everyone to move out of the way. It’s a commanding feeling that will make you feel like you have a lot of power, but you can’t forget that you are going to be saving lives of real people when you arrive at the scene. One moment you might be settling a dispute between two neighbours who can’t get along and another day you might be in a high-speed pursuit trying to chase down an armed criminal that just robbed a bank. The job is unpredictable, dangerous, and you need to be able to cope with the emotional stress that comes with the giant swings of responsibility. Your goal as a police officer is to keep the peace, and if that means dealing with loud neighbours or shooting criminals, then that’s part of your job description. You will see your share of happy moments, disturbing moments and you might even see a lot of death and destruction. However, it’s all part of what it takes to become a police officer and you need to steel yourself if you want to become a successful one with no regrets. With that said, becoming a police officer is a noble goal and you will undoubtedly gain much respect from your peers, solid friendships with your coworkers and a sense of belonging as you protect the streets of your city. However, it’s not easy and the path to becoming an officer is paved with challenges.